So you think a gym is enough to impress your lady love. Well, I don’t think so. There are a lot of things which girls are mad about in guys, apart from their tough exercise sessions and clothes. And, the first in the list is good personality, but this doesn’t cover only your body and dress sense. It is the way you groom yourself that makes you attractive. Your physique and attire will work wonders only if you are keeping yourself well groomed; in other words, you should look presentable wherever you go. And, this is what girls look for in a guy. Grooming is important and every man should take extra time to do it. 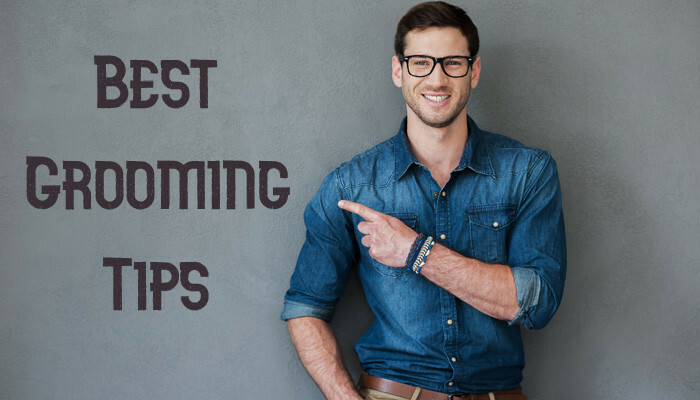 Considering this, here is the post, outlining common grooming mistakes that men make along with some interesting tips to overcome these blunders. Usually, guys mix up grooming with fashion which is the biggest mistake they make. Your fashion sense and grooming are two different things, but yes they walk hand in hand to form a handsome you. Thus, for all the men who are working hard to impress their women, the grooming list is ready to act upon. Take a look, but just don’t look, implement it in your daily life as well if you seriously want to be the eye candy of your women. You know your unkempt beards and moustaches make you much bigger than you actually are. Always keep them in shape for a younger and tidier appeal. Trim them on a daily basis to achieve that nice crisp look. Your sexiness lies in your well-groomed self. You will be happy to know that women are more attracted to men with stubbly chins as compared to their clean-shaven looks. Untrimmed stubble will make you look sloppy. So you must know how to maintain it and be in your woman’s good books. The eyebrows are one of the most important features of your face. Therefore, you must pay special attention to their grooming. A pair of cleanly defined, well-separated eyebrows actually makes you a better communicator as it adds volume to your talks and expressions. Try to keep them in control with proper trimming. For a neat and tidy look, it is important that your face is clean and clear. All those unwanted hair growths like that of your nose have to be properly trimmed. It just takes thirty seconds to remove such unsightly elements from your face. I know they are easy to avoid but just trim them. Make sure the neck region of your body is hairless. A man with a hairy neck is difficult to talk to as he looks very untidy. So, just get them shaved whenever you go for a haircut. Guys! Groom yourself well to have a long-lasting first impression.